I love the idea of incorporating a little bandana as a neck scarf instead of a necklace. It makes the outfit feel a little cooler, a little more fun. Classic bandanas in red and navy are the PERFECT touch for a 4th of July outfit. 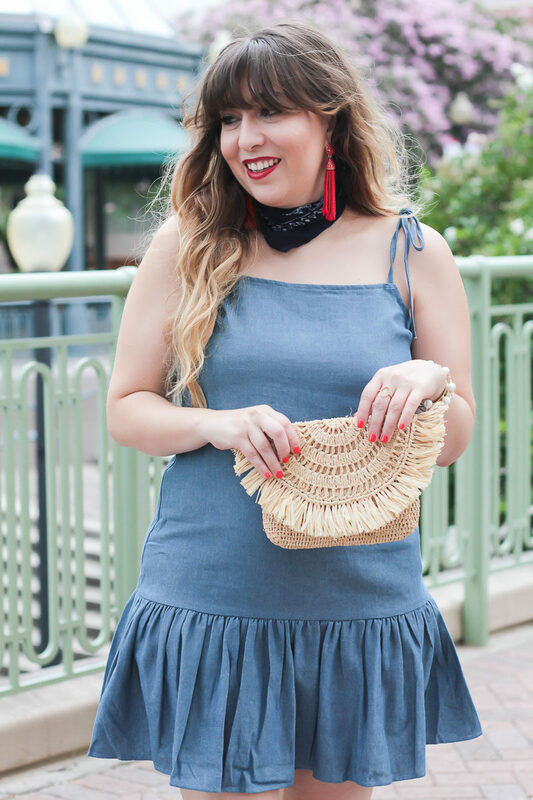 I ordered this pretty chambray drop waist dress online, thinking that it would be a great canvas for red, white, and blue details for the 4th. I wanted to keep it on the more casual side with flat stripe bow sandals and a pair of fun earrings. 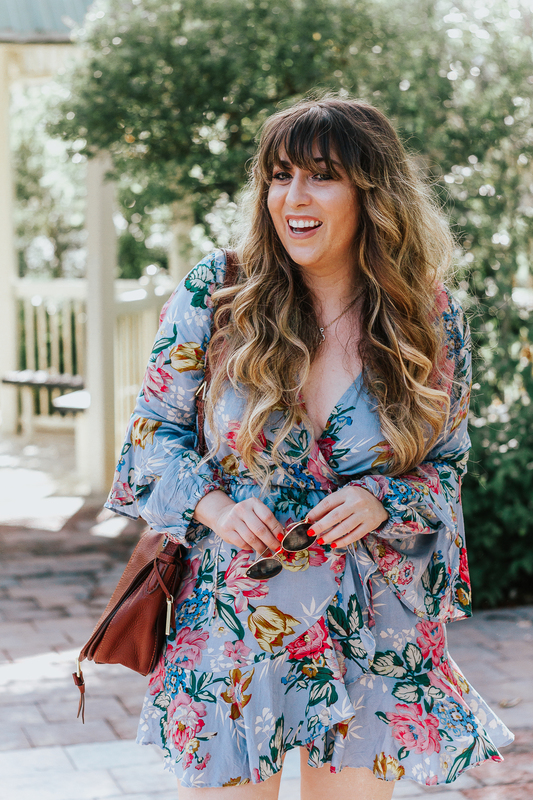 I think what I love most about July 4th outfits is the fun and unique challenge of putting together a cute and festive outfit that is still stylish. Let’s be honest, a lot of times, 4th of July doesn’t usually produce the most tasteful of outfits! Flags and red, white and blue can easily veer into cheesy or trashy territory. I love finding chic ways of putting together festive yet cute looks! It’s definitely a time to have fun with your personal style, though! Try something different like a bandana or a bold red lip. Check out my outfit below for some 4th of July outfit inspiration! (You can also check out this post or this post!) Don’t forget that there is a giveaway running for a $1000 Nordstrom gift card!